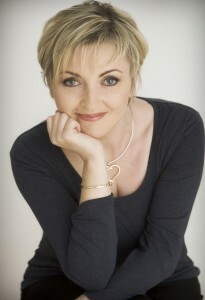 I’m Bernadette Jiwa, writer, idea catalyst, brand strategist, brand naming consultant. I turn up the volume on you and your mission and show you how to tell your story in sixty seconds.….often less. I work one on one with entrepreneurs and creative thinkers to breathe life into their ideas. I craft strategies and stories for passionate companies and visionary brands who want to making meaning and money, by building legacies alongside businesses. I create brand names, product names and book titles with words that paint a thousand pictures. I am the author of You Are The Map Maker and the co-creator of striking truths. I’ve been named as one of The Top 100 Branding Experts To Follow On Twitter . My writing has been featured in guest posts about Brand Naming on Women 2.0, the female founders website and Building Your Business on the popular branding blog Logo Design Love. I’ve collaborated with author Seth Godin as the project manager of the What Matters Now print edition and written articles included in several of Seth’s Triiibes eBooks. I am an expert panelist at TEDxPerth Pitch School.